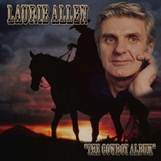 The Cowboy Album is a set of 37 songs of unfinished work by Laurie Allen. Music remixed in the Wasteland Studios. This is the music Laurie wanted to put to cd as a tribute to his favourite music, but he lost control of the masters and never got to finish them. Enter Warren Keats, on Electric Guitars, Keyboards, Mandolin, Drums, Dobro, Del Veccio, Acoustic Guitars, backing Vocals, Recording Engineer. Les Gough on Electric Bass, and Dave Moore on Pedal Steel. 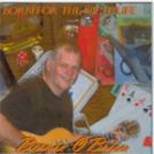 With some of the original music by Peter Hayes and Harold Frith. 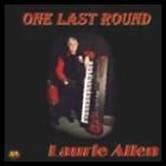 Copies have been sent to selected music presenters and has been archived by the National Library so Laurie’s music will go on forever…. For 18 months Laurie would pack up his cheese sandwiches and coke and catch a bus and tram or sometimes a train and head off to Waza’s Balwyn North studio, a nice little home based recording studio where he would join Warren Keats, Bernie O’Brien, Oliver the dog and Man the cat, they would band together in an effort to record their own individual cd’s , a team effort to record the best cd’s they possibly could. Laurie didn’t quite make it to see the finished product. 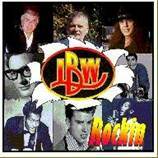 When Laurie passed away LBW the band became LBW Productions and they were in damage control, those cd’s were going to be finish. Now it was only Warren and Bernie to put the finishing touches to the almost finished cd’s, they worked hard to finish what they had originally set out to do and they did it but now it was the finance to get the cd’s out that was the worry and that was when Aunty Renee stepped in with a plan to get Laurie’s last works released …for Laurie. Cranbourne Hillbilly radio show on Sunday mornings working with legends like the Hawking Brothers, Dusty Rankin, Pete and Mike Hayes and a host of others. 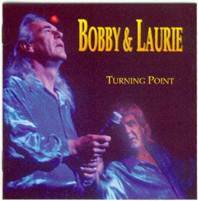 No wonder that after the Bobby and Laurie era finished in the early 70’s, Laurie was able to carve himself a career as a solo recording artist, a top songwriter and a session musician touring with local and overseas stars. He produced great records for other artists too. In fact he spent a lifetime not only creating great music himself but helping others, including many of Australia’s top performers, do the same. Laurie was the consummate country all rounder. 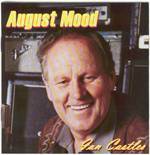 For 40 years he made a huge contribution to Australian country music. Yet it is as a person and a friend he’ll be remembered. Speak to anyone who knew him and they’ll talk about a man they admired and loved, unflappable and full of happiness. Like all great artists he was bursting with enthusiasm for what he did and he knew it backwards. It was a terrible shock to hear that Laurie was gone. He had been an integral part of the scene for so long. This album is a marvellous, energy filled, joyful, country tribute to a man who obviously loved every moment of his jam packed, musical existence. Laurie. as we listen to this terrific album(hopefully not your last release) with so many of your great old songs, we salute you and your remarkable talents for music and friendships. A real “motivating man” to the end. The story of the Jack & Laurie’s song “Swaggin”. Jack Allen in his younger days before Laurie was even thought of swagged his way around Australia and as Aunty Renee said worked his way around for pennies, he wrote of his experiences in the way of poems, Laurie showed me the little red book that had obviously been well read with its yellowing pages packed with poems written in pencil, Jack wrote about the Australian bush, the friends he met along the way and his many adventures, that book was a treasure to Laurie. Laurie picked up on a couple of the poems one being the one that was to become “Swaggin”. Laurie put the music to it and Lionel Rose recorded it for one of his albums, Warren Keats had heard Lionel’s version of this song and liked it so much while working with Laurie in 2002 he asked if he himself could record that song for his own cd but use his own dad Les Keats ( Les Keats a pioneer of country music here in Melbourne, a member of the original Trail Blazers) to do the narration. Laurie agreed, Waza brought his dad into the studio and “Swaggin” was reborn, Laurie was extremely happy with Waza’s version of the song. This song in it self is a great tribute not only to an Australian lifestyle of the one time swaggie but to three Aussie icons no longer with us, Jack passed away in 1996 at the young age of 100, Laurie passed away just after this song was recorded by Waza in 2002 then a couple of months later Les Keats also passed away. “Swaggin” number 8 track on Warren Keats’s cd “Hello & Welcome” is one of the songs that has been picked up by some music presenters here in Australia and in New Zealand as a great Aussie song with an Aussie story that is so true, one of these music presenters Graeme Godkin from Yarra Valley FM contacted me recently urging me to get the story of this song out there to try and get more airplay because he like quite a few others who have heard this song feel this song is a true reflection of the Australian Swaggie and needs to be heard. 1.Rockabilly Beatin Boogie Band.2.The Endless Sleep.3.Hats Off To Larry.4. Mountain of Love.5. Dream Lover. 6.Memphis Tennessee. 7. Sam Cooke Medley. 8 That’s Alright Mama.9.No Particular Place To Go.10. 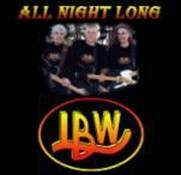 All Night Long (LBW Theme) 11.Sixteen Candles. 12. Venus.13.Guitar Boogie.14.Don’t Tell Me Your Troubles 15. Not Fade Away.16.Walkin’ In The Rain. 1 Motivatin’ Day 2 The Night & The Lady 3 Long Ago & Far Away 4 Had To Leave Her. 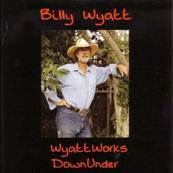 5 Me & The Dog 6 Am I The One (Vocal By Warren Keats ) 7 The Fer’ Buck’N’Me Polka 8 Swaggin’ 9 All Night Long ( LBW Theme) 10 Annie Johnstone 11 A Cowboys Tears 12 Born For The Nightlife 13 Dancehall Ladies. 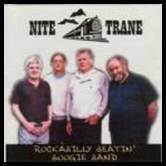 Nite Trane with Laurie Allen, Peter Hayes, Bernie O’Brien and Harold Frith. recorded in 2001. 12.Spirit Of True Rock ‘N’ Roll. 11. Distant Drums 12.Keep A’Knockin. The First Time, Roomful Of Roses,Truckers Lullaby, These Hands,If Tomorrow Never Comes, Jezebel, There’s An Old Man In Our Town,Eighteen Yellow Roses, Closing Of The Door, Your Cheatin’ Heart, What Colour Is The Wind, Burden Of Freedom, In The Misty Moonlight, Amazing Grace. Arizona heart, Annie Johnson, Just The Way, Gypsy Heart, Australia, Roll On Train, Another Cottonfield, Closing Of The Door, Backwards, Lovin’ You, Long Ago And Far away, West After Midnight.